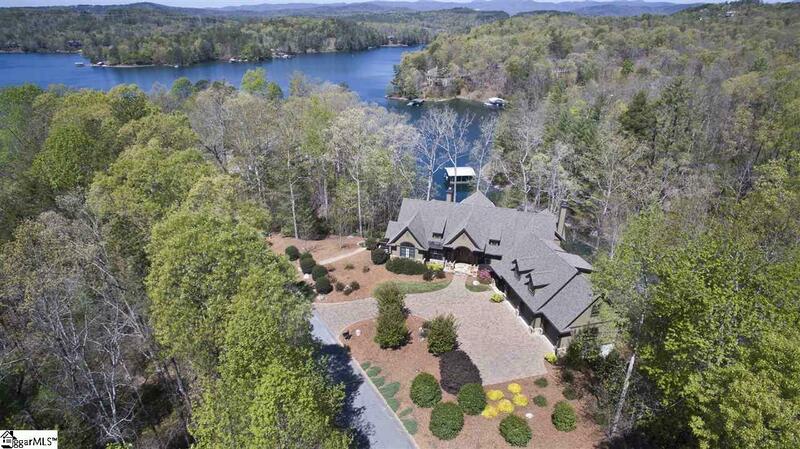 -Five bedrooms, four full and one half bathrooms and bright, spacious living areas comprise this 5,400 sq ft waterfront home at the Cliffs at Keowee Vineyards, with good proximity to the clubhouse and golf course and a spacious 3-car garage. - Open floor plan to great room, dining area and kitchen with ease of access to screened and open porch. 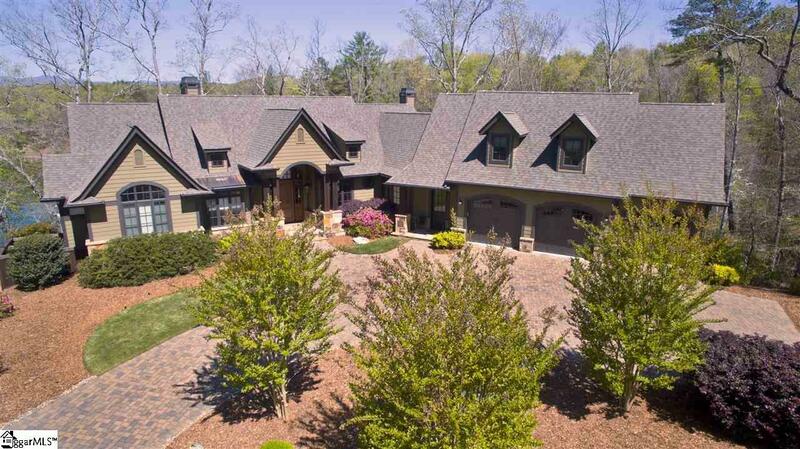 - .86 acres of mixed forest and meticulous landscaping with zoned irrigation surround the low-maintenance exterior of this home. 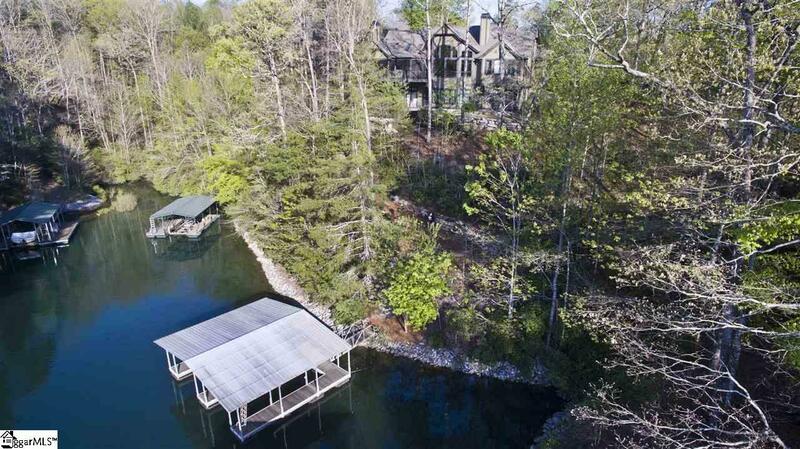 - The desirable double slip covered boathouse has electricity available for boat lifts, if desired. - Carefully selected finishes and fixtures include specialty tiling, custom cabinets with rope detail, upgraded plumbing fixtures, including Grohe and Hansgrohe faucets and Blanco sinks, a Jacuzzi tub and Jentle Jet laundry sink, heated bathroom floors, large walk-in cedar-lined closet and cedar sauna, stained glass windows, home gym, hot tub and oversized "bonus bedroom. - The kitchen is well-equipped with Bosch and Kitchen Aid appliances, including double convection wall ovens and warming drawer and DCS 5-burner gas range by Fisher & Paykel, with custom-built 600 CFM hood. A walk-in closet with etched glass pantry door is both stylish and practical, boosting the natural light from a pretty octagonal window. - Four HVAC zones (two with humidifiers) ensure comfort throughout, storage is both extensive and varied, and the home is outfitted with a lightning protection system. Control 4 home automation system allows lighting, thermostat control, two security cameras, and monitored security system. Audio and video are available in virtually every room of the house.